My process: Two events conspired toward the creation of Into Stillness, my visit to Budapest, the closest I�d ever gotten to my paternal grandparent�s home, and the death a few months later of my 98-year-old grandmother. With her passing went the stories she never told about the loss of her family and her husband�s family, my family, to Nazism. How did their tragedy influence my reluctance to embrace religion and state my spiritual beliefs? I didn�t want an autobiographical work though, well aware that atrocities driven by racial and religious conflict occur daily across the globe. I read numerous accounts of survivors and the ongoing struggles with the trauma they carry daily, and my interest turned toward the sacredness of the body as a home. This belief and much of my current writing style derives from years of dancing Contact Improvisation, a modern improvisational dance, and meditation, both rooted in the ever-shifting moment and the felt and fleeting self. In my previous book, Uncommon Grammar Cloth, each word arises from my body like sweat, riding on breath, pulse, pause, and play, avoiding, to a degree, linear meaning. Here I wanted a similar effect, but with a significant difference: a focus on disembodied places, the violences that numb, the voices stifled, all balanced, even surpassed by an honoring of flesh and a return to stillness. order of death, the passing of horizons into vertical truths. pulling the teeth, better now than leaden, vase cracked beyond glue. me. Bite the soft spot, but watch for pits. matter. Robbery if anything less. Bribery if anything more suitable. none too sonorous twisting from side to wide. Echo but no fall. opportunity arises like a stalk seeking sun, like a hand seeking hold. When she caught her breath, she let it go. When her thoughts raced, she held up a clock for good measure. or root that she had to dislodge and shred every evidence of prove it. in past sealed. No dam it. No dam, yes sir-ree. Rishima. Zimzum. soon as depart, depart saming return. Aha body, ah. lame nor lung blackened by shoulds but the yes of aha. stemming from foot upon root in neither decline nor askance. a happenstance by chance happens. a heroic feat diffuses the defense. right of way wronged by the righteous. over the rail to the waves, lost myself in the drown of no face. myself whose glee, herself sleeps past three, himself hissing hymn. on feats yet to achieve, a chant refusing mum. ah e i ger. stuffed bully at the taxidermy. indelibly unmasked to reveal the face of the world. author on politeness on doubling pamphlets lengthwise. borrowed to toll the limit, a spade is always. an ostentatious display of the criminal mind at work on the play. the jury comes to their hurry with bloodshot eyes and shuffling� woes. readily stuffed in the draw back. on the count of one, count to three. fierce unimaginable majesty. didn�t always dozens. the glass cracked, the vase unglued. legs in press, legs impress. �������������������������������� ���and trip on each other�s woes. throated clarity, the mote crossed for the reign unchained. acts. numbers conceal the cost and cravenly mad sanity. 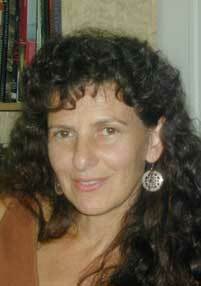 Bio: Cheryl Pallant is a writer and dancer living in Richmond, Virginia. She teaches in the English and the Dance & Choreography Departments of Virginia Commonwealth University. Her books include Uncommon Grammar Cloth (Station Hill Press, 2001), a chapbook, Spontaneities (Belladonna Books, 2001), and the forthcoming Into Stillness (Station Hill Press, 2003). Fiction and poetry have appeared in numerous literary and online journals in the U.S., England, Australia, and the Czech Republic.